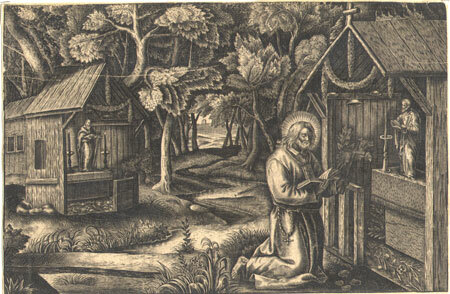 Exquisite 17th or 18th Century Engraving of a monk in prayer at a forest chapel. A very strong impression with great contrast, and marvelous northenr school style decorative patterns in the trees, flowers and grass. Even the grain of the wood is exquisitely done. This is a work with marevlous textures. 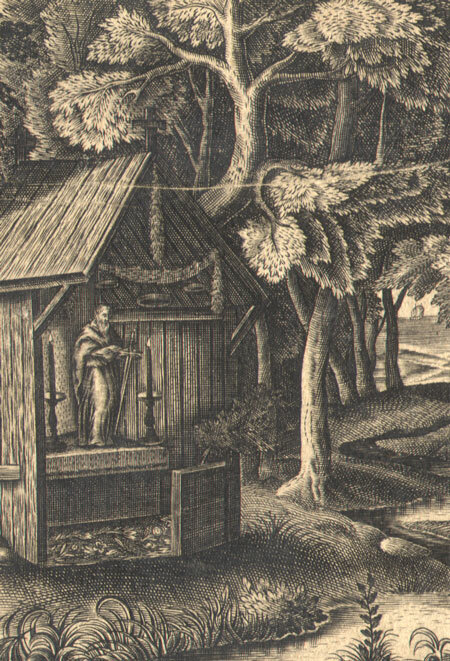 Condition: There is a fine scratch across the upper left quadrant of the image (can be seen crossing the tip of the chapel in the background. 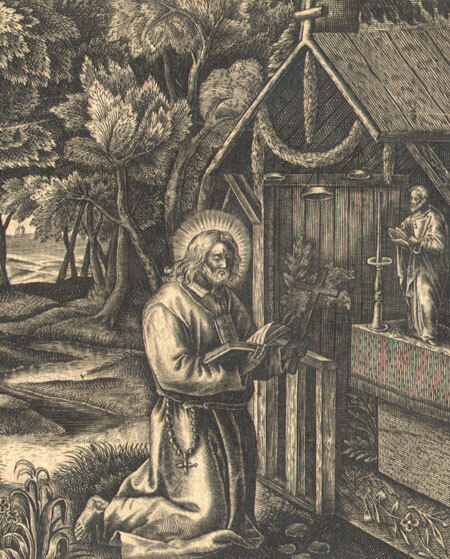 Cut to edge of image, there is no text to give us a clue which work this wonderful image comes from. It has been backed with old paper.